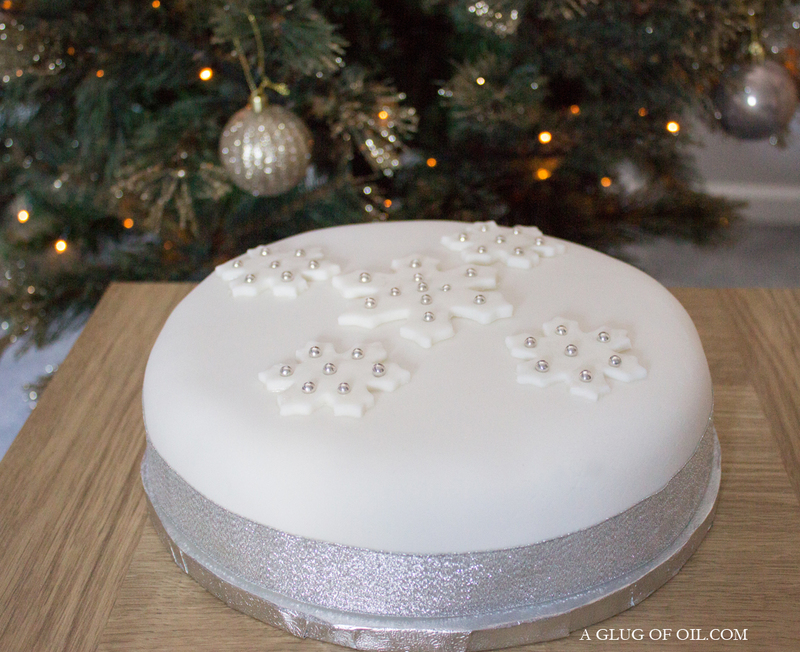 Well who'd have thought me of all people, has actually managed to make a Christmas cake. Now for the cake itself I used a recipe off the net which worked and I had a rich dark, moist fruit cake. As I understand it it's important to 'feed' the cake every few days by making small holes in with a cocktail stick and adding brandy. Well due to one thing or another happening round here I didn't get round to icing it for a good few weeks so for fear of it drying out my cake was fed possibly a little too much; yep a lot of brandy went into this cake 😊 I think if I had a shop I'd need an alcohol licence to sell a slice! 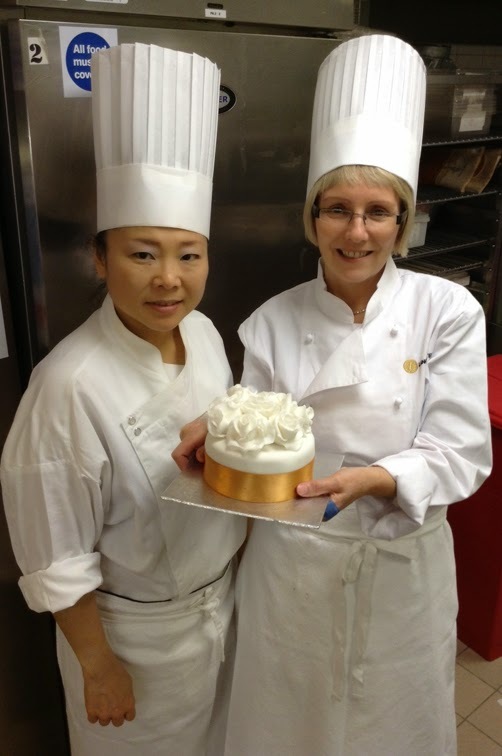 A cake smoother not only give a nice smooth finish but it ensures the marzipan and icing are nicely sealed with no airspace in between; you may remember I had lessons at the Langham Hotel in London with Cherish Finden no less so I know these things! Now all I needed was marzipan and since my Kenwood Chef stand mixer is my best friend and I had ground almonds in my cupboard I set about making my own. The Kenwood makes everything so much easier, just throw the ingredients into the bowl, attach the K-beater and let the machine do the work. Now I ummed and arred over how much marzipan I would actually need since there are so many differences of opinion out there I was confused! 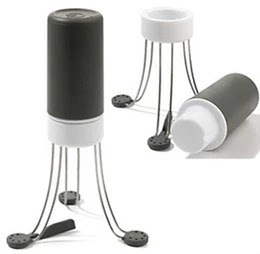 This makes literally just enough to cover a 22cm cake so if your cake is any bigger you will need more and it depends how deep your cake is too. Of course you don't have to have a Kenwood Chef to make marzipan you can just mix/beat the ingredients with a wooden spoon in a large bowl. 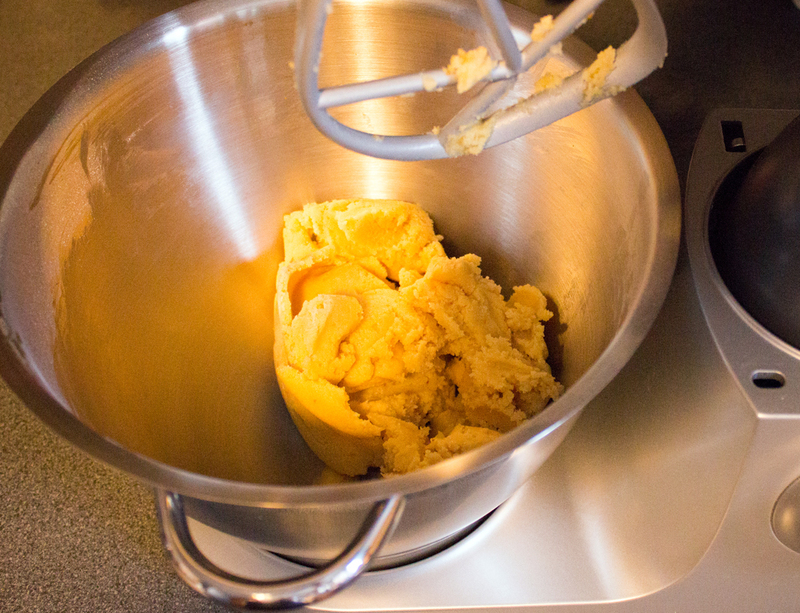 Put the caster sugar, icing sugar and ground almonds into the Kenwood mixing bowl and attach the K-beater. Start the machine on speed 2 to mix the ingredients together. Now add the orange zest and the beaten egg. Set the machine to speed 3 or 4 to mix until you have a paste. Leave the machine to continue mixing for a couple of minutes. Tip the mixture onto a work surface lightly dusted with icing sugar and knead until it's lovely and smooth; don't get over excited with the kneading otherwise your marzipan can get too sticky and oily. Wrap in clingfilm and pop it into the fridge for at least 3 hours or overnight before using. You will need to brush the surface with about 3 tablespoons of apricot jam mixed with warm brandy or water and then passed through a sieve. Brush the top and sides of the cake with the jam mixture and then put the marzipan on the cake. When you're ready to ice the cake brush the marzipan with a a bit of brandy, leave to dry before actually icing the cake. Put the caster sugar, icing sugar and ground almonds into the bowl and attach the K-beater. Start the machine on speed 2 to mix the ingredients together. Now add the orange zest and the beaten egg. Set the machine to speed 3 or 4 to mix until you have a paste. Please excuse this picture; it was taken when the weather had come over so dark it was as if it was night time - so on with the kitchen light meaning the colour is a bit wrong but you get the gist, but more importantly marzipan happened! 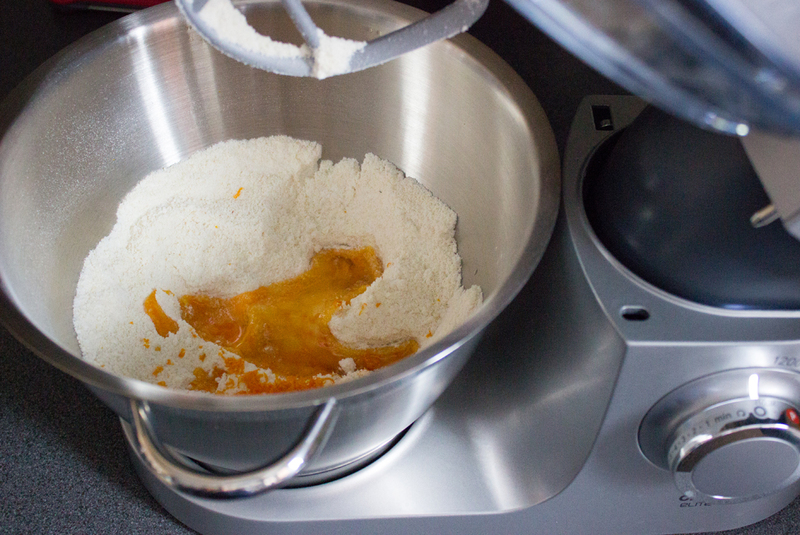 To marzipan your cake you will need to brush the surface with about 3 tablespoons of apricot jam mixed with warm brandy or water and then passed through a sieve. Brush the top and sides of the cake with the jam mixture and then put the marzipan on the cake. When you're ready to ice the cake brush the marzipan with a a bit of brandy, leave to dry before actually icing the cake. Happy Christmas Everyone!